An eBook as a simple version of the paper book helps to build your authority. You can offer it for free, sell on Amazon or it also can be a good freebie to offer to people on your website to get their email. Let’s try to hit two goals at one time. First, we’ll create a series of the blog posts, that way you will have the quality content on your website for the period of time. And second, we will create an eBook based on that content. 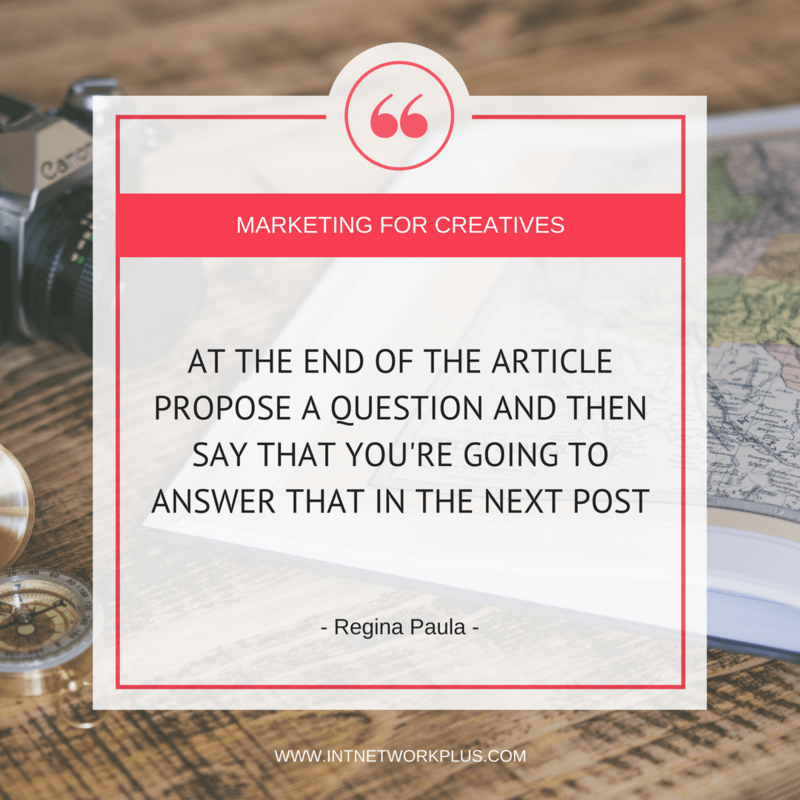 In this episode, Regina Paula talks about the fast way to create an eBook based on your blog posts. Regina worked in the film and animation industry before she and her husband quit their jobs to travel full time. 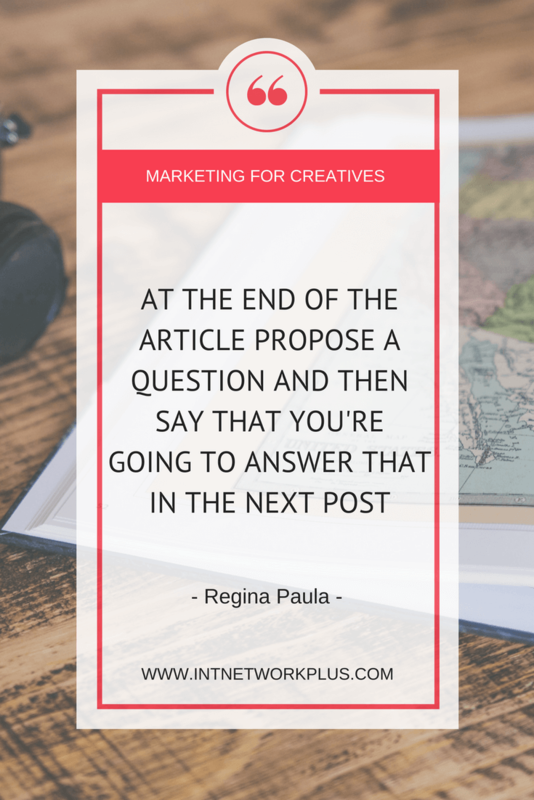 After teaching online and offline social media workshops Regina discovered her desire to help micro and small businesses uncover their real purpose to create content by starting with a content marketing strategy. This process reveals the true value and authentic personality to connect with the right customer. [10:34] Use Google Keyword Planner, TubeBuddy, and Google search result to look for the keywords for your blog posts. Step 2: Add an extra information, bonuses, your BIO, etc. We want to hear your interesting story. You’ve done so many things. Regina, please tell us about yourself. I actually was in a totally different area before. I originally was in the film and animation industry. I started out, after graduating from school in visual and game programming. I ended up working for a couple of seasons of Clone Wars animated TV series and then ended up moving to New Zealand to work on Avatar. Since then I’ve worked on a few blockbuster hits and then I ended up leaving the country right after The Hobbit 2, beginning of The Hobbit 3, to travel the world for three years with my husband. So we started running our online business, which is in the three years that we were gone. We just recently came back to New Zealand last year and “settled down” which we’re kind of not really. I’ll tell you at the very end. I really started to take a different lifestyle when we moved back from New Zealand. I ended up getting some offline clients to really help them with their social media and realized that there was something missing with some of the people that we were working with online and offline. And it really came down to strategy because we were able to mentor people to do Facebook ads or set up a blog, but sometimes at the end, they were a bit lost or there was a lack of direction. When I was pregnant and when I had my baby I really had a lot of time to think and restrategize and restructure myself and just decided to focus on content marketing strategy and creating content. A lot of people don’t have a strategy or written strategy to go back to and it’s a live document, which means that the strategy can change but at least you have something to go back to for when you start up your ads or when you start your blog or anything related to your digital strategy or digital actions for your content. That’s what I do now. I mentor micro and small businesses to be courageously free from social media channels, which really just means I help people with their own media channel which is just building a foundation through content and context marketing. What that really means is you should still utilize and maximize social media, but you don’t have to rely on it. So, where is your content? Where are you holding your content that holds a message true to your values for your business? So here I am. I connected with you just recently. What a story! From creative filming industry, traveling all over the world and now organizing content marketing and all this social media stuff. But now everything is getting together. We have creative people here and we need some help, we want to get two things at one time as you’ve done. I was just going to say I love the creative industry because I’ve worked with artists for many years. So, today we want to have good content on the site and please help us then create an eBook from it. What should we start with? Why don’t we start with, I guess having a good content? Really having an idea of what value you can bring and that really comes down to what do you have to offer. What do you know more than what another person knows? A lot of us think that we have to be experts in something, which I do agree, but you’re always going to know a little more than other people who don’t know. So it’s really having a lot of ideas, knowing your niche and how your persona takes in information and really how to talk to them. So yeah, just having good content. And how will we create this good content? How to plan the series of the blog posts so then we can create an eBook later? I don’t know if you would agree with me, but a lot of us have so much that we think of in our heads. 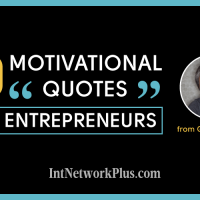 Especially business owners, entrepreneurs, and especially if you’re brand new and you just don’t know what to do, you always have these amazing ideas. 10 million things. The things that you can do and realistically we can only do it one at a time. But the first step would be to let all those ideas out of your head so that you can make room to focus on one thing. One of the first things that I tell my students and clients is that we think a lot so write everything out. 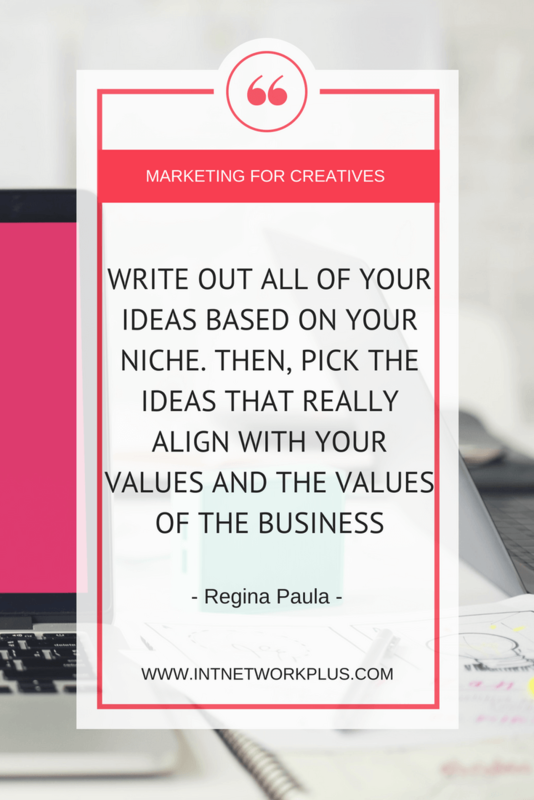 Write out all of your ideas based on your niche. Whatever you do; whether you’re a photographer, makeup artist, some other type of creative or just a small business owner, write everything out. Even if you think it’s bad just keep on writing. 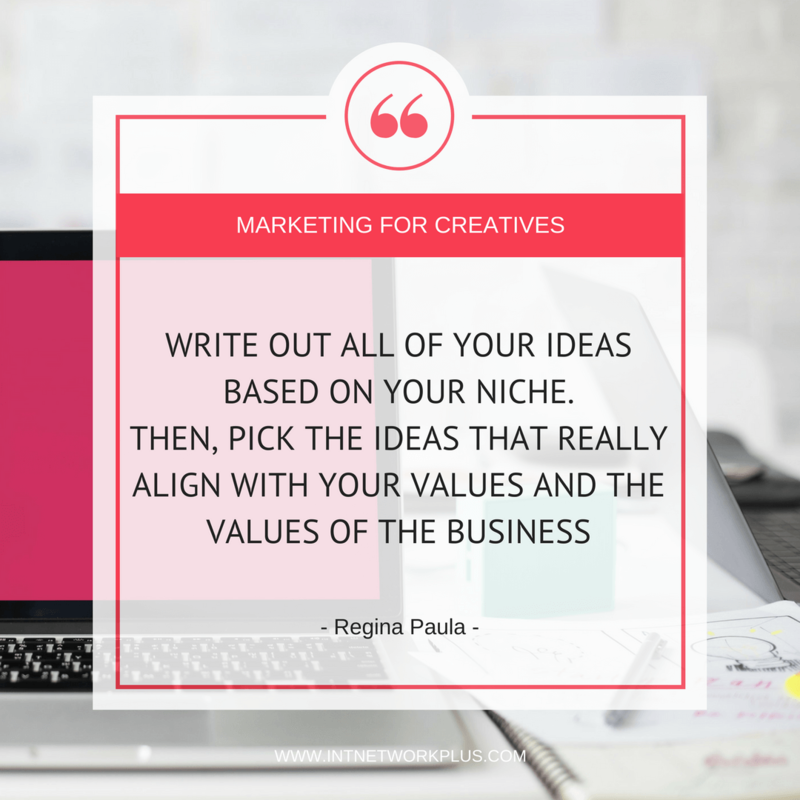 Once you purge these ideas what you can do is pick the ideas that really align with your values and the values of the business with your niche and your expertise and really figure out, “Okay. What does my audience actually want to listen to, read, watch?” I guess in this case if you’re writing a blog post they’re obviously going to read it. Let’s say you’re a makeup artist and you have a how-to section on how to apply your makeup. Or maybe there are a few categories that talk about picking the right colors for your skin and all that stuff. So, really just kind of categorizing them. The idea is almost like a funnel. You’re going to have a whole ton of information and you’re going to end up refining that towards the end. Once you have your categories then you can go back and do a lot of keyword research. What is your audience actually searching for in the search engine to find the answers that you can give them for their problem? So basically, we write down everything and then we think, if I’m a makeup artist, how to choose lipstick, how to choose eyeshadows, how to choose a foundation. Those are three topics which I can put in the same category. Is that what you mean? But yeah, just putting similar ideas together and then that can help you create several series within the topic of makeup artistry. We put together all of those ideas and we need to find the keywords for the blog post as you said. Where should we go for that and how should we find the keyword? If I talk about how to create makeup for going out, how would you search for the keywords? Great question. The natural go-to is Google Keyword Planner and sometimes that may or may not be confusing. If you’re brand new to this and you’re just like, “What the heck is Google Keyword Planner?” What you can even just simply do is when you go to your search engine, maybe it’s Google, maybe it’s something else, you can actually start typing in the search bar and it will auto-complete or you’ll see a list of items that people actually search from whatever you’re typing in. You can always scroll through those too. This is just the oversimplified version. Also, a lot of times when you do research a keyword, like how to apply lipstick. Once you come up with a list of search results, on the very bottom they also have suggested keywords or keywords that are similar that people usually search on. You could simply use those as well. When you search for your item and you look at the very top, you can also see how many results come from that particular keyword, to give you an idea if it’s you know searched a lot or not. I do a lot of videos so I use a tool called to TubeBuddy to do my SEO for my videos and that also gives you search items for Google as well. So that’s another way. I kind of combine it because that’s my workflow, but that’s another option too, especially if you do videos. There is one more tool that I think is really cool that I recently found and it’s on AnswerThePublic.com. What it really does is it gives you kind of like a map of the types of questions people are asking around a topic. So if I put in, blush or lipstick color it will come up with clouds of words that will say like, what’s the best color. It’ll just go through all the questions that you can use that people are actually searching on. Let’s say we got the ideas for our next several blog posts, how many blog posts would you put into the series? Once you have your ideas of your keywords, I would do three to five posts. That’s just me personally. When you get more into this you can always test it, later on, to see what actually works and doesn’t, but you can start with three to five. See if that works. I think it’s a good amount to really give enough value but it also opens you up to add more value to the eBook, inside the eBook. Personally, what I would do or what I’ve done is just make sure that there’s some way of the reader to opt-in to a list from those posts. I know that’s probably a totally different topic so that’s really just food for thought. You can put that aside later and think about it later let’s just focus on the post. Okay. Whatever we want to create an eBook or we do the series of the blog posts, it’s good to give people some expectations, to give them the feeling that this is a series and later it’s going to be an eBook. Do you have any interesting ideas on how to give people the expectation of the next blog post? How to make them want to read more? That’s a really good point because you don’t want to just go to the post and leave it dead in the water because then they might not come back and read it. Some ways to give people expectation are to at the very beginning of the blog post what you can do is actually pre-frame them, actually tell them something like, “Over the next few blog posts I’m going to talk about this.” So really just give them an idea, like an outline of what you’re actually talking about. Even through the blog post itself, you can drop a few hints. Let’s say you’re a photographer and you’re trying to learn how to do portraits. In the first post you can just talk about why it’s important and what type of photographer uses it, in what type of environment or how they would set things up. It can simply be, “Check out the next post when I talk about this.” or “Make sure you…” I don’t know. Just make sure you get somebody to do something and then make it applicable to the next post. Another thing that you could do is probably, you could propose a question. Propose a question and then say that you’re going to answer that in the next post. Let’s say then we created our series of the blog posts and now we are ready to create a final eBook. So we want to create an eBook out of the blog posts we already done. Will you rewrite the blog posts somehow, or how would you organize them? How would you put that eBook together? When you say rewrite the blog posts, you mean within the eBook itself? Mhmm. Because we already have the content on the website, should we have it the same on eBook or should we add something there? I wouldn’t necessarily rewrite the blog posts per se but what I would do is mention that this is an extension of the blog series. “If you’ve read the blog series you know that in this book I’m going to give you this information.”, for example. You do want to make that connection but you don’t necessarily have to rewrite the blog posts. If you want to organize them you can possibly keep a similar format. 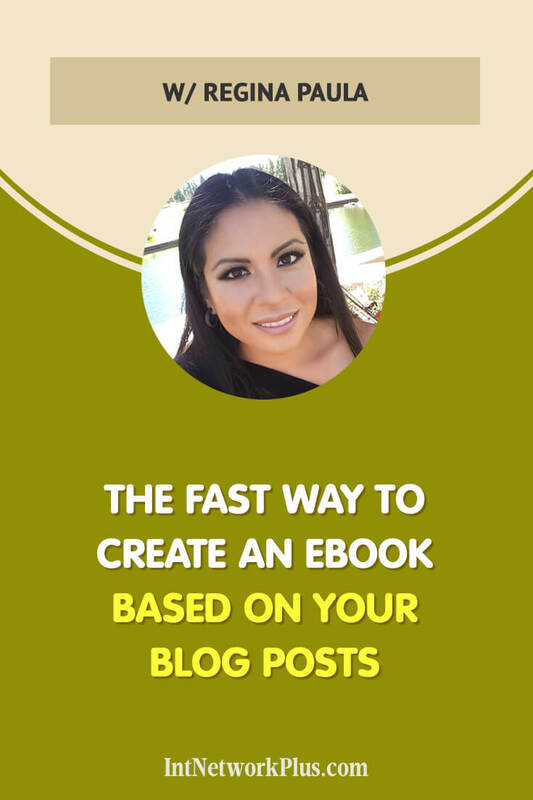 Organize it the same way as the original blog posts and just expand in the eBook. Or what you could do is get into more advanced topics. Another option too is maybe your series of blog posts are just topics that you’re giving enough information and value on but in the eBook itself, maybe there’s an area there where you can give them practical applications and you can make a workbook out of it. 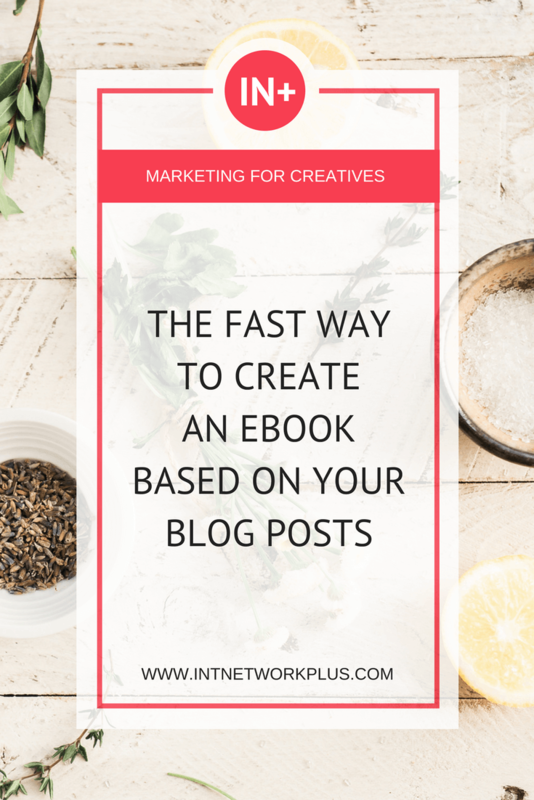 What I mean when we have the blog posts already and now we put them together in the eBook, should you just copy everything from the website. You say that we can link to the blog post from you eBook, but should we do anything else? Or just copy paste and then format it? 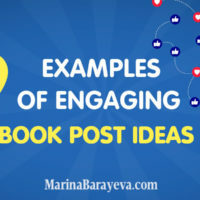 I wouldn’t necessarily copy and paste it but I would find words that would be able to connect your eBook with the actual posts themselves so that you know that there is congruency, that you’re talking about the same thing but you’re going to get a bit more in the eBook. If you think about it, if you copy the exact same thing from the blog posts they would have already read it anyway. They actually they just want more information or something else to do. Okay. Let’s say we have the blog post for eBook and we’re somehow going to connect them in the book. What else do we need to write or to add to the complete eBook, to the final version? To the final version, like I said, you can mention the blog posts, definitely add a nice cover because all books have a front cover, a table of contents. You can add illustrations, images or extra illustrations to really describe what you want to do. If a lot of you here are creative you love images. What if I am a creative and I love images but I’m not a designer? 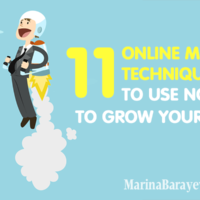 You can still do it on your own and use tools like Canva, PicMonkey. I know there is a ton out there that you can use that use templates. I think you could even find some templates. I think there are templates even in autoresponders. I’m not even going to get into that, but there are templates that you can use and easily adapt them to what you want to do for free. The other option is you can always outsource it. You can use Fiverr or UpWork or Guru. There are a ton of Facebook groups with Virtual Assistants that can help you with this kind of stuff as well. It looks like the eBook is going to be a pretty version of the blog posts. How to make it different, how to make it more attractive for people? Should we add extra information there? I would add a bonus section. Just like the blog posts, I wouldn’t just leave the book as it is, like give the information and pretty much at the end say, “The end.” I definitely would not do that. What I would do is maybe offer another way, whether it goes to your product or whether you want to build a subscriber list and add them to your list so that you can give them more information later, but definitely at least add a bonus section and give them more than what they expect to get from you. Would you include your personal information, your bio, your social media links, how people can reach you? What do you think about this part? Definitely a bio and all that information to reach you. I was just thinking about this and thanks for saying that. One of the things that I’ve found pretty helpful as well is offering a free 15-minute consultation. I use a booking site YouCanBook.me. It’s a free booking site that you can use and you can actually have people hop on a Skype call with you for 15 minutes. That really gives that extra value. 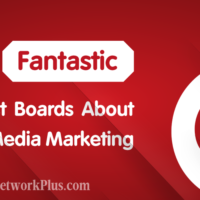 Surprisingly, not as many people as you’d expect to utilize that free consultation, but really the idea of creating all this content is to connect with your audience. So if they can even have just a few minutes with you, direct connection, then they’re more likely to follow you or they’re more likely to get more information from you and buy from you later on. That’s really the end goal of it, especially if you’re a business owner and you’re trying to create revenue on your blog. So we create a series of the blog posts and then based on that we create an eBook. We add some extra information, we add graphics. It sounds like a lot of work. Any tips on how to make them fast? Which parts cane we delegate or bulk or use extra services? Honestly, I think the first thing that I would start probably even before, this is what I tell people either as they are starting their businesses or when they’re creating their content marketing strategy is, really write a list of the skills that you have. Then from that list pick the top ones that you love or you don’t mind doing and then any of the other skills outside of that just outsource it or find a way to use tools to help you with that. 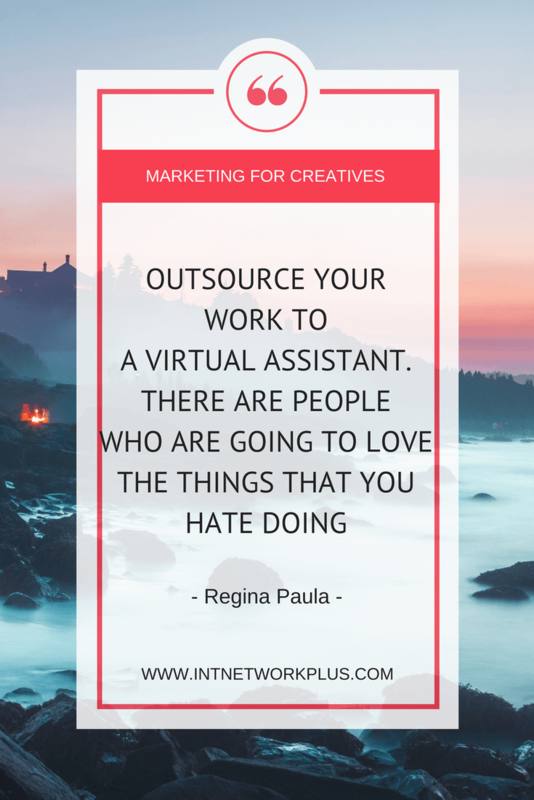 Like I said earlier, you can outsource your work to a Virtual Assistant. There are people who are going to love the things that you hate doing. You definitely want to make your workflow efficient because you don’t want to end up spending hours and hours doing something you absolutely hate and not happy with the result. Case in point, I’m rebranding at the moment because I just had my baby and I’m just coming back into the scene. I had to ask my friend to do more of my branding because I can use Canva or Photoshop as much as I can but as a designer, I am absolutely terrible. So, utilize other people strengths for sure. And now how can we know more about you, about your work and how can we connect with you? I have a podcast called The Art of Living Courageously Free. It’s AOLCF.com. As I mentioned earlier about my travels, me and my husband and my daughter are going to start taking a caravan around New Zealand. So, if you go to the Courageously Free Travelers YouTube channel and subscribe, you can get the new updates as we start traveling. We’re just planning it right now so more videos will come up. And of course, ReginaPaula.com. Are you going to travel with the baby? Oh my gosh. I think it’ll be good. She’s still young so I think it’ll be easier now, especially since she’s not in school yet. She’s only eight months old. She’s still young. She’s a baby. You are brave. I hope our listeners will get inspired by that, by your example, they will go to YouTube channel and see how you travel with your baby. That’ll be fun. But, you like traveling yourself. I do, but I don’t have a baby yet. Okay. That’s fantastic. I wish you a lot of travels and safe trips over there. Thank you so much for being on the show, Regina. Thank you so much for having me, Marina. I really appreciate it and to your listeners, all the best. Just take it one step at a time and you’ll get there for sure.